I stayed in Phuket for 1 week. I had an excellent stay, mostly due to some amazing Airbnb hosts who showed me great local restaurants and even ran their own tours around the island. Phuket was easy to navigate with a motorbike, with good roads that allowed for plenty of exploring. I visited roughly 20 beaches during my stay, picking a section of an island to explore each day. Nightlife in Patong, on the famous Bangla street, resembled Bourbon street on steroids. Nonetheless, my first impression of Thailand was one I will never forget. I took a 2 day 1 night trip to Ko Phi Phi while staying on Phuket. The tour ended up being Russian (26/29 people were Russian, plus two Romanians, and me) which made for an interesting experience. The tour involves being taken to roughly a dozen different islands and locations around Phuket, plus a night stay on Phi Phi. The Thai tour guide, nicknamed Ali Baba, made for a great travelling companion and without him I would not have spoken a word of english all trip. At any rate, the islands we visited were undescribably beautiful (some of the best scenery in the world). The Ko Phi Phi nightlift did not disappoint, with awesome beachside fire shows, Thai boxing, and of course all the Chang you could want. I stayed on Ko Samui twice, once for two days and again for four (I am two days into the second leg here). Samui is beautiful and large, great for exploring with a motorbike. My first day, I took a kayak about 5km out to a small adjacent island. Once I got to the island, I realized the kayak had taken on quite a bit of water on the way over due to a leaky livewell. I decided to chance the return trip, only to get about 2/3 of the way back before realizing this kayak was well on its way to the bottom of the bay. An amazingly timed speed boat was passing by, and while at first they thought I was waving at them out of the kindness of my heart, they finally realized I was screaming “help” not “hello” and plucked me and the sinking kayak out of the bay and returned us both safely to shore. My second day, I took the motorbike down to a used book store owned by a friendly Brit named Paul. After stocking up on books, I continued south and stumbled upon a hippie owned and operated frisbee golf course. Needless to say, an afternoon of frisbee golf on the beach/in the jungle made for some good fun. Now that I am back in Samui, I am staying in the (poorly named) fishman’s village, which is in fact a rather expensive touristy area. Nonetheless, my time here has not gone to waste. I arrived on Ko Pha Ngan the morning of the (in)famous Full Moon Party. The island was packed with people, especially around the epicenter of the party in Haad Rin. The party did not disappoint, with roughly 12000 people crammed onto a beach, with fire dancing, and of course the famous fire jumprope. This involves two guys swinging a huge rope (which is of course on fire) around and around and letting drunk tourists try and jump rope over it. Needless to say, hilarious. The two days I spent on the island after the party were in fact much more enjoyable. The crowds thinned out, and I was able to enjoy the Treehouse Beach Bar just down the way from my bungalow. A dangerous place that before you know it you’ve spent the whole day there. The following day, I went on an ambitious 3 hour hike through the jungle to another beach. Luckily for me, the path (if you could call it that) was occassionaly marked by spray painted arrows showing the way. The hike itself was easily the most challenging I have tried, with steep inclines and declines and treacherous footing. The beach that I arrived at was well worth the trouble, though, being extremely lovely and secluded. I spent a total of 6 days on Ko Tao, and what a place it was. My bungalow was on the quiet end of Mae Haad beach. The two adjacent resorts had their own private beaches. If you headed the other way, Sairee beach was just a ten minute walk and much more lively. One of the days I was there, I decided a fishing trip would be a good idea. I was quickly proven wrong when the boat was parked a mere 50m offshore, a spot we would stay for the rest of the day. As we finally started moving to a new spot, a massive storm blew through, which the captain (a gent who could not have been more than a year or two older than me) insisted on navigating in his 10m long boat. This made for an interesting and bumpy 1 1/2 hours back to the pier, with no fish in hand. Needless to say, it has been an exciting, adventurous, and relaxing 3 weeks. My last three days in Dubai went past much more quickly than I would have liked. On Tuesday the 7th, my day featured a whirlwind of Islamic culture. First, I visited the Jamirah Mosque for a tour and lecture on Islam. That evening, the family went to an iftar celebrating the end of the day of fasting for Ramadan at the Sheik Muhammad Center for Cultural Understanding. After the meal, we retired to the Mosque for another lecture on Islam, as well as an interesting Q & A session. First, the context is important to understanding what ensued. The mosque was full of tourists, many western, but also many from Asian countries. Therefore, the responses the imam gave to questions was clearly dictated by what the official government line was one these issues. In fact, many of the responses to questions were word for word renditions of the lecture I had received that morning at Jamirah Mosque. At any rate, someone in the audience asked about what sect of Islam Daesh (ISIL) practiced. The imam responded that Daesh, and other radical islamists, did not originate in GCC countries but can mostly be linked back to European influences. The imam argued that the free speech afforded to radicals in Europe could be identified as a cause of this radicalization. In the Arab world, the Imam argued, radical islam was dealt with in the mid 1980s but was allowed to flouish outside of it. Secondly, a history lesson on banana republics: like Guatemala et al, Daesh, the Imam argued, was a contraption of an (unnamed) foreign power. Furthermore, the United States shares a large piece of the blame for the emergence of Daesh; without the Iraqi invasion, the dismantling of the Baath party, and the power vacuum that ensued, it could be argued that Daesh would have never existed. However, it is also true that islamist inspired terrorism has its roots in the Arab world; one example is Osama Bin Laden’s home state being Saudi Arabia. At any rate, a health debate unfolded between me and my father. After the iftar, we traversed the “creek” (really a proper river/inlet) via a small boat taxi and visited the goal and spice souks. As we strode along the narrow alleys, we discussed the implications of what the Imam had said. The next two days were to be defined by one thing: golf. My little brother, my father and I played on Wednesday, and my father and I played again on Thursday for his birthday. On Friday morning, I was on my way to Thailand, where I am writing from now. Upon arrival in Bangkok, I realized I had made my first major travelling mistake; I had booked my connecting flight to Phuket at the other airport in Bangkok. I scrambled to buy a new ticket, and was on my way to Phuket with only an hour lost. My gracious host picked me up from the airport at about 12:00am local time, took me to my accomodations, and I woke up this morning in beautiful Thailand! I have now been in Dubai for four days, since June 2nd. I am here visiting my father, little brother, and step mother and their hospitality and generosity has made the beginning of my stay here absolutely enjoyable. On my first day here, I arrived at 10:30pm local time due to a flight delay from Houston. Texas, my home state, was and continues to be inudated for the second straight year by record flooding. Nevertheless, I could not fail to be awed by the massive size and scope of the Dubai airport. The airport was easily one of the largest structures I have ever been in, with massive vaulted roofs, pillars, and an enormous indoor waterfall as the centerpiece. My second day, my father, little brother, and I went to the Emirates Golf Club, a world renouned course in the heart of Dubai. After playing a rough 18 holes with my father and his mates, we had dinner at the Club. I am a massive foodie, and the Italian-inspired seafood dish I ordered was divine. On my third day in Dubai, I woke early with the family and accompanied my father to his office. His office lies in the center of the free zone, requiring us to cross what amounts to an international border to enter. Within this zone is the largest industrial sprawl I have ever seen; factories, shipping yards, offices, contruction everywhere. After working on an article that I will be submitting to the EPIK Young Leaders Conference paper competition in Soeul, My father and I, accompanied by three of his office workers, went to lunch at a small local Indian food restaurant that caters to the local workers. For 100 durams (roughly $30 USD) The five of us ate a massive meal, the quality of which was the finest I had ever tried. After heading home, we went to dinner in the Pier 7 district overlooking the Dubai Marina. Although our meal left a bit to be desired, the drinks and dessert did not disappoint. My fourth day in Dubai was one of relaxation and family time. After spending the morning at the house reading a good suspence novel in the Girl With a Dragon Tattoo series, my father and I went to my Aunt and Uncle’s house to play tennis. My little brother and our cousin joined us shortly after, and we played a spirited and entertaining game that resulted in a 3-3 tie. We had to retire to the pool to cool down from the 110+ degree weather. Shortly after, my uncle arrived, and we had a great time exchanging our favorite rap and hip hop artists. Afterward, my dad challenged me to a game of tennis, which I am happy to say I won 6-2. Another great day in the books, we retired to the house for a home cooked meal of prawn curry. In my short stay in Dubai, a number of general observations have popped into my mind. First is the similarity between migrant labor in Dubai and my home of Austin, TX. Migrant laborers are heavily relied on in Dubai for contruction and landscape work. These laborers come from many different Middle Eastern countries, as well as India, Bangladesh, and elswhere. Similarly, hispanic migrant laborers are heavily relied upon in Austin to provide construction and landscaping work. Another general observation of mine is the internationalization of Dubai. The absolute diversity of the population is astounding; even in a small office my father’s employees are from five different nationalities. Therefore, the demographics of Dubai are particularly interesting, with a massive ex-pat population and a relative small local population. This leads to an interesting exchange of culture, one certainly dominated by the local Muslim culture but heavily influenced by outsiders. Boko Haram, a terrorist group that has grown increasingly active in Nigeria over the last month, has most recently taken responsibly for the kidnapping of over 200 Nigerian school girls, who they now claim they will sell into slavery. 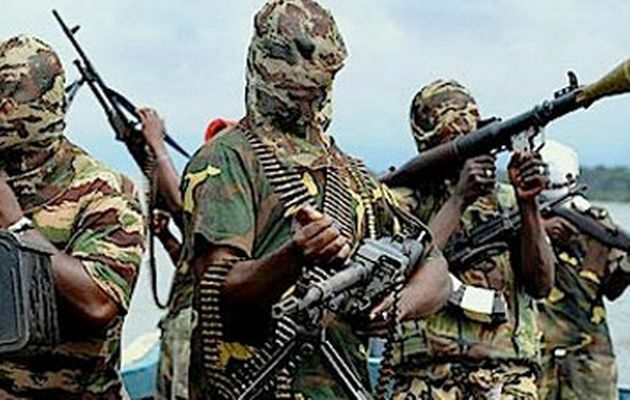 Boko Haram is particularly active in the Northeast of Nigeria, where it is unclear just how much control the government has. 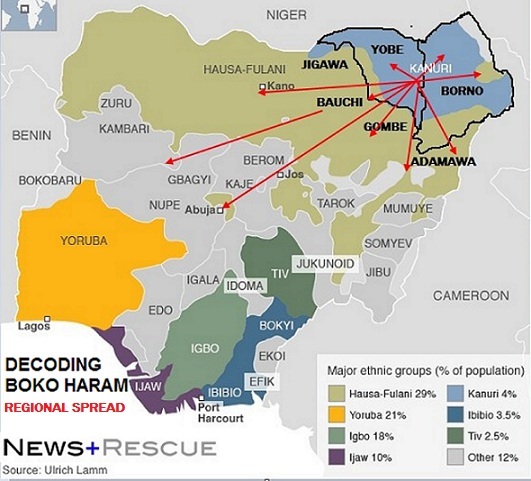 The name Boko Haram translates to Western education is evil, which in turn justifies the kidnapping of the young girls. These actions, along with the spree of violence that Boko Haram has unleashed on Nigeria, including suicide and bus bombings, represents a significant shift in the show of force the organization is pursuing. This widespread assault on the Nigerian people shows just how unstable Nigeria has become, despite becoming the largest economy in Africa, overtaking South Africa earlier this year. Nigeria is one of the world’s biggest exporters of oil, making this not only an unprecedented humanitarian crisis but also one that has the potential to impact the global economy. It remains to be seen what the Nigerian government will (or can) do to stabilize the nation. However, it was reported that Nigerian officials, including President Goodluck Johnathan, has reached out to global powers in an effort to aid in stabilizing the country. The international reaction to the chronic instability in Nigeria could have serious ramifications in the short term for the people of Nigeria, and the long term for the global population, making the Nigerian issue one of massive importance in international relations. The above article outlines the fact that the civil society organization in Russia found that the Crimean referendum was falsified. Buried at the bottom of this article is the nugget that the referendum ballot only had two options on it: Join Russia or revert to a free Crimea via an outdated constitution. I had personally not heard this and found it very insightful into the illegal nature of the ballot. Clearly, remaining a part of Ukraine was not an option offered to the people of Crimea. Numerous outlets continue to report that the Crimean people wanted to join Russia. However, this report calls that into serious question. 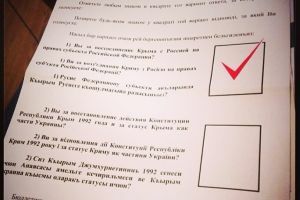 It is clear that the referendum was not only illegal but extremely biased, and did not represent the people of Crimea with a true plethora of options. 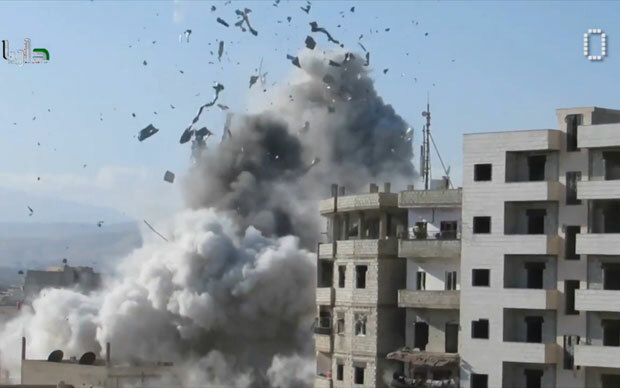 Barrel Bombs have emerged as a weapon that has become widely used by the Syrian government forces as they continue to try and subdue the FSA and other rebel groups in Syria. These weapons are cheaply constructed from oil barrels and the like, packed with shrapnel and explosives, and shoved over the side of a helicopter. According to Human Rights Watch and the BBC, these barrel bombs have been dropped indiscriminately and deal massive damage to innocent civilians. The Assad regime has also been launching air strikes and artillery bombardments into civilian neighborhoods since the inception of the conflict. However, these new weapons constitute a cheap way of dealing massive potential damage, but are even less discriminatory than a traditional bomb or artillery shell. The massive civilian casualties resulting from the Syrian Civil War have pushed civilians to a breaking point. Where at one time these people may have supported the government or the FSA, they now only hope for peace. The city of Aleppo is estimated to have lost over 70% of its population to civilians abandoning the city. This indiscriminate violence only continues to destabilize the war and push more and more refugees out of Syria. The Syrian people feel abandoned by the international community, as their country continues to be torn apart and the conflict is continuing to be marginalized by the international media because it is “old news.” However, the conflict is still as important today as it was at its inception, despite the fact that it is not in the headlines as often. Continuing to follow the conflict and educate ourselves about the goings on in Syria is a priority we should all focus on.